McDonald's has launched its long-awaited delivery service in Ireland, with orders available from three cities. The fast food giant is offering its 'McDelivery' service through UberEats, and can be used by anyone within one and a half miles of participating Irish McDonald’s restaurants. From today (November 8), the service will roll out across Dublin, Galway and Cork in 'phase one' of its Irish launch. It comes after McDelivery rolled out across Britain last year to wild success – accounting for 10% of McDonald's UK sales within just months of launching. Sarah Carter, McDonald’s Director of Operations in Ireland and Northern Ireland, said: "We are delighted to be introducing the McDelivery service to Ireland, after months of planning and lots of questions from McDonald’s lovers – we can finally reveal that the time has come, offering yet another level of convenience to our loyal customers. "It’s exciting that we’re now able to provide our freshly made, great tasting food to customers in Ireland in a way that suits their busy lives." Peadar Golden, Head of UberEats in Ireland, added: "We are really excited to be launching UberEats and working with McDonald's to deliver your favourites for the first time in Ireland. "Our app means that people can now get great food at the touch of a button delivered to their home or office. "With UberEats you can follow the progress of your delivery, see your courier arriving on a live map and pay using your account – no change required." The McDelivery service promises to deliver favourite menu items at the click of an app. 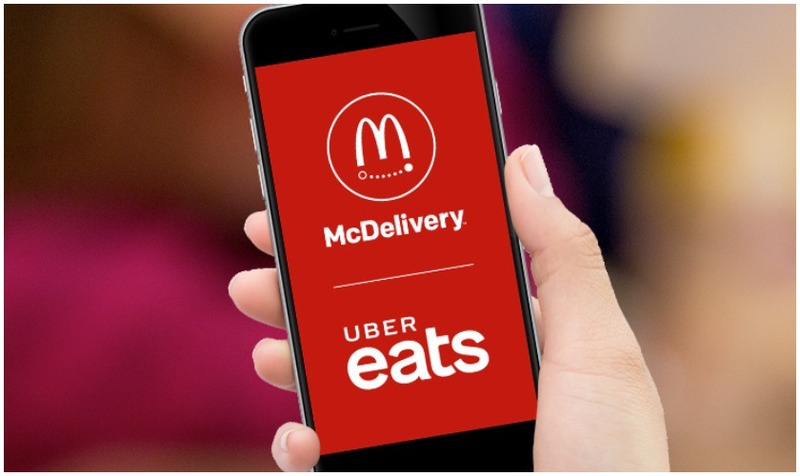 The McDelivery option on UberEATS will feature McDonald’s breakfast, lunch and dinner options and will be available within 1.5 miles of the participating McDonald’s restaurant from 8am – midnight, seven days a week.